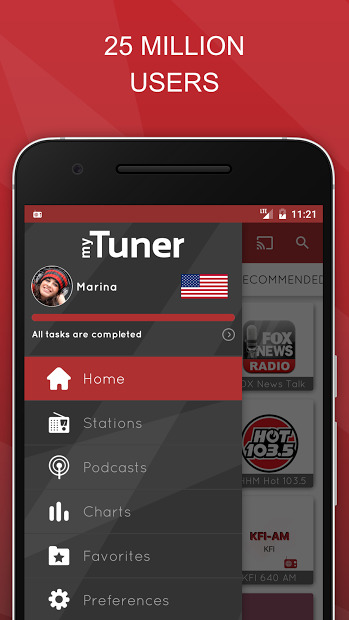 With myTuner Radio app you can listen to live radio streaming from all over the world on your Android phone or tablet, for free. You can listen to sports radio, news radio and music radio stations. With 30,000 AM, FM and online radio stations available from more than 180 countries, there are many kinds of radio stations for you to choose. 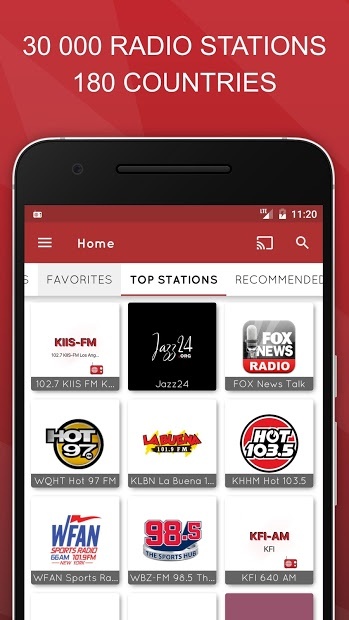 Listen to the best radio stations – including the local AM and FM radio stations you love or search by genre: pop radio stations, rock radio stations, news radio stations, sports radio stations, etc. Listen to Podcasts shows and real Radio; and many more features. You can even use global search to find radio stations. How it works? Here are a few search examples: Newstalk, country radio, npr radio, bbc radio, sports radio. All stations that fit in that search, will show up. NOTE: You must have an internet connection ( 3G/4G networks and Wi-Fi). There may be some stations that do not work because their stream is offline.